© 2018 Calgary Tesla Society. Modular battery packs for Electric Vehicles, to reduce waste, saves replacement time, and reduces the cost associated with EV batteries. David Atkins-Apeldoorn,Roger Hul and Tanner Ober. The final winner of the CTS award was Doppio! Teddy Seyed, the innovator, is a PhD student in the Department of Computer Science. 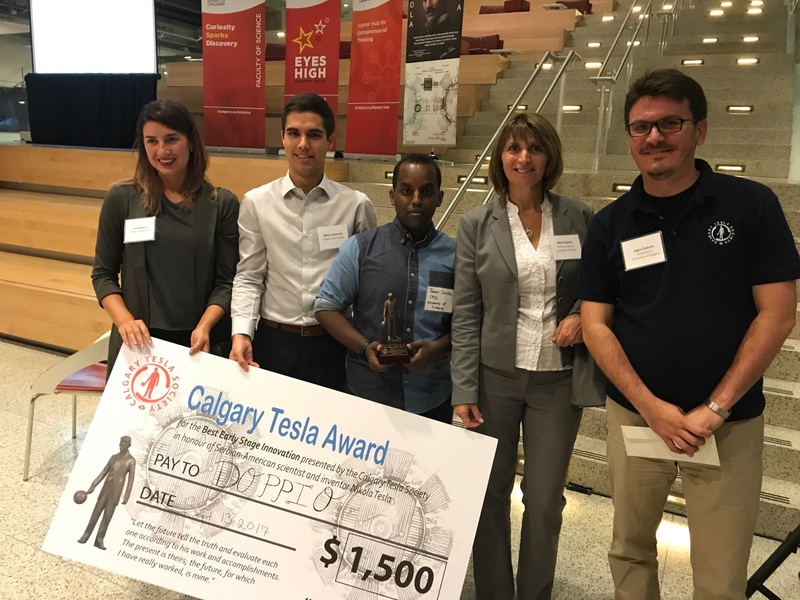 The Calgary Tesla Society wishes him all the best in the future, and we hope that he can achieve every goal he has set out for himself. 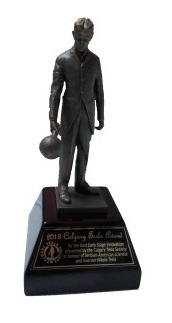 "I also wanted to say I am truly, truly thankful for having the opportunity to pitch and win the Tesla Award. It really means a lot as the journey with Doppio begins, and I want you guys to know that this award will go a *really* long way in getting the second prototype completed in the coming months. 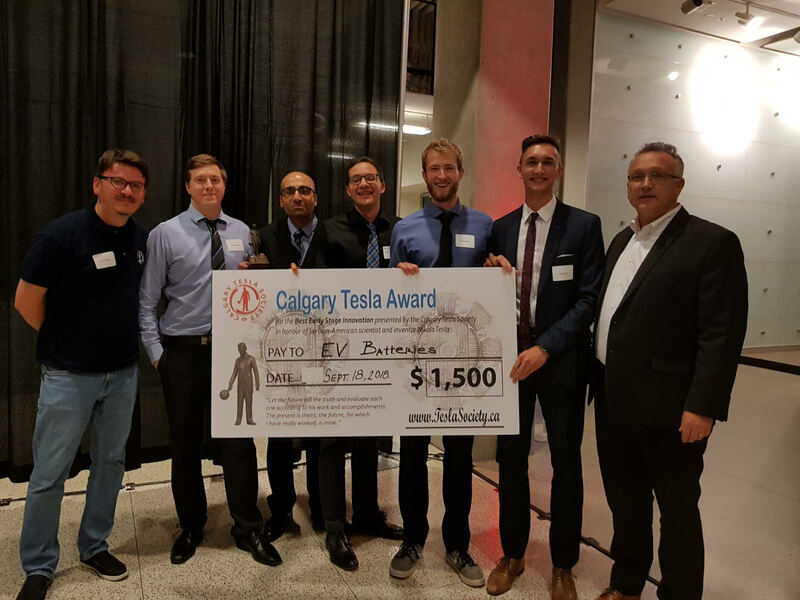 I'm super proud to be doing entrepreneurial things at the U of C, so keep up the GREAT work, as it is important for students like me who are trying to build cool things like Tesla once did!!!" Teddy brings with him a keen imagination backed by exceptional academic and practical experience in UX/UI with a focus on Human-Computer Interaction and Design. He's currently the University of Calgary's first Entrepreneurial PhD candidate in Computer Science, combining a traditional science based thesis with an entrepreneurial thesis. Teddy has been recognized for a number of top Canadian scholarships at the academic level, and most notably he was one of only two Canadian recipients of the Generation Google Scholarship in 2016 for exemplifying leadership, passion and innovation in the field of Computer Science. Recently, he was invited back to the 2017 Google Scholars retreat as a speaker and mentor for students. Currently, Teddy is focused on applying hardware and software skills from his academic research, to projects involving wearables, fashion technology and healthcare. One of his wearable health projects, Doppio, a dual-screened smartwatch, recently received international attention, being featured on a number of major technology sites. Working with a number of mentors, the W21c, the Hunter Hub for Entrepreneurial Thinking, his supervisor Dr. Frank Maurer, as well as Kris Hans and Sonny Shoker of Market Grade, Teddy hopes to release one of the worlds first Android Wear smartwatches not from a major technology or fashion company.